While it’s relatively easy to rent a car in Cabo, it’s a good idea to do your research ahead of time. We have provided a listing of rental car companies in Los Cabos as well as some information on rental car insurance and general car rental tips. Also, cars rented once you are in Mexico are much more expensive than if you had made your reservations before you leave. You can book online on most of the car rental companies’ websites or through a major online travel booking company such as Travelocity, Orbitz or Expedia. The best way to get a deal on a car rental in Cabo is to check all of the sites and compare. While hours vary from company to company, most rental cars at the airport are open daily from 5:00 am – 11:00 pm. In town locations are usually open 7:00 am – 7:00pm. If you are planning to rent a car in Cabo for a week or longer, Budget has a deal for you. You can get $20 off weekly rentals at Budget on a minimum five day rental period that includes a Saturday night stay over. Car must be C level and above. An advance reservation is required. May not be used with any other coupon, promotion or offer. The phone numbers listed here are for the local office of the company. You will speaking with someone who is in the Los Cabos office. Alamo has a location at the airport as well as several in downtown San Jose del Cabo. Avis has several locations throughout Los Cabos. They have a location at the SJD airport (the number above) as well locations in hotels (Pueblo Bonito Pacifica, Pueblo Bonito Sunset Beach, Dreams Los Cabos, Pueblo Bonito Rose, etc). Budget also have multiple car rental locations in Los Cabos. In addition to an airport location, there are several in Hotels (Hacienda Encantada and the Worldmark Coral Baja Resort).There is also a downtown Cabo San Lucas location that offers free pickup service. Dollar Rent A Car has one location at the aiport and one in the San Jose del Cabo Hotel Zone. There is an EZ Rent A Car Location at the Los Cabos International Airport. Fox Rent A Car has a location at the airport. Located in the marina by the Puerto Paraiso Mall, Harley Davidson offers rentals, sales and plenty of souviners. There’s also a full bar and restaurant. Hertz has locations in Cabo San Lucas and in San Jose del Cabo as well as in hotels such as the Gran Mayan. Payless has three locations in Los Cabos: Downtown Cabo San Lucas, San Jose del Cabo Hotel Zone and at the Los Cabos International Airport (SJD). 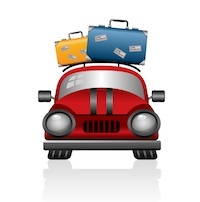 Thrifty has car rental locations at the airport as well as in the Hola Grand Faro and the Westin in San Jose del Cabo. In addition to the major car rental companies, there are some local rental car companies in Cabo. Cactus Rent A Car has a location in Cabo San Lucas and San Jose del Cabo. One of the most important things is to make sure that you have the right insurance. Many people are confused about what their credit card insurance covers and what is required to rent a car in Los Cabos. 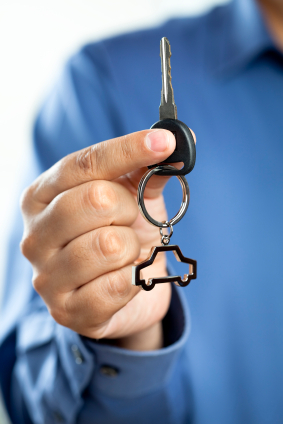 In Mexico, you are required to carry third party liability insurance to rent a car. Also called personal liability insurance, it will cover claims for injury or damage you cause to another driver, car or other property damaged in an accident. You will not be able to use liability coverage from U.S. auto policies or credit card insurance. By law, the liability insurance is supposed to be included in the rental price, but it is good to double check and make sure. Most credit cards offer rental car insurance that covers damage to the actual rental car. It does not cover your personal liability for property damage or personal injury/death you may cause to others or any property (signs, fences, etc), but is good to have in addition to the personal liabilty insurance. Read the terms and conditions of any insurance carefully, ask lots of questions and make sure you are properly covered. While they are nearby, car rentals are NOT onsite at the airport. You’ll need to take a van to get there. If you are only renting a car for a day or two, it’s a good idea to get the car in town. Some of the bigger chains have locations in downtown Cabo San Lucas or San Jose del Cabo. They often also have locations inside the hotel. Call a few local offices and compare rates. Be sure to also ask if they include free pick-ups. If you are staying at a hotel, your concierge can help you arrange getting a rental car.